It's Official - Desi Girl is Now Mrs Jonas! Our desi girl has formally become Mrs. Jonas now. 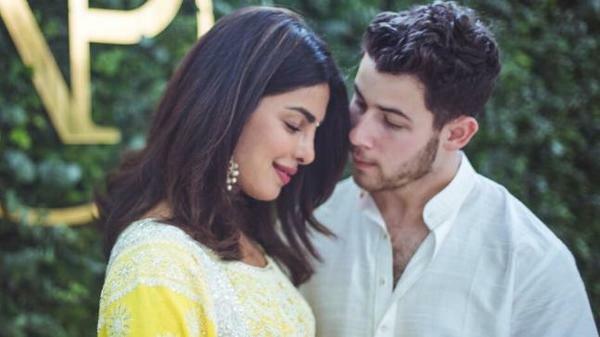 The Bollywood actress Priyanka Chopra is now committed to the American singer Nick Jonas as the two of them bartered rings in a white wedding today earlier in the day. It was a Christian wedding which was umpired by Nick’s father, Kevin Jonas. It took place in the back lawn of the Umaid Bhavan Palace, which has been lit up for the royal wedding. Talking about the wedding, Priyanka and Nick are going to tie the knot again in a traditional Indian wedding tomorrow. The couple will be later throwing wedding reception parties. We wish many felicitations to the couple and a lifetime of happiness! Priyanka Chopra and Nick Jonas will be exchanging the vows on December 2 at the Umaid Bhawan in Hindu tradition. Priyanka Chopra and Nick Jonas are officially man and wife now as the two of them took their wedding vows in a Christian wedding today. We are very happy for the couple and we wish to see more pictures of their wedding in the coming days. Guess What - Priyanka-Nick Will Have 2 Weddings Too! Guess Where are Priyanka and Nick Getting Married? OMG - Nick Jonas Has Confirmed the Engagement Rumours! Priyanka Celebrates Her Birthday With Nick Jonas in London! Desi Girl is bringing her Boyfriend to India to Meet her Mom! Priyanka Chopra and Nick Jonas' wedding details are out! Priyanka Chopra might wear this to her wedding with Nick Jonas and we’re surprised! The Big Fat Deol Wedding!